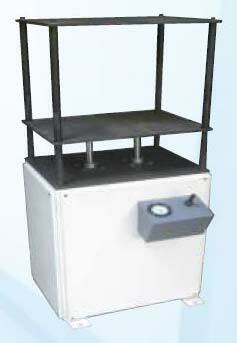 We are a major Manufacturer, Exporter and Supplier of Pneumatic Dab Press Machine. The Pneumatic Dab Press Machine is suitable for pressing of Hard Case Bound Books soon after casing-In & Joint Forming Process. Pneumatically controlled pressure in the Pneumatic Dab Press Machine ensures perfect and faster production. We supply quality tested, durable, efficiently performing and highly functional Pneumatic Dab Press Machine at the market leading prices.